As a service to our community, we offer Lulav and Etrog sets, for the cost of $36 per set. Orders must be submitted before September 14, 2018. 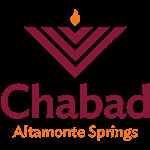 Lulav sets will be available for pickup at Chabad, 414 Spring Valley Lane, Altamonte Springs FL, 32714.